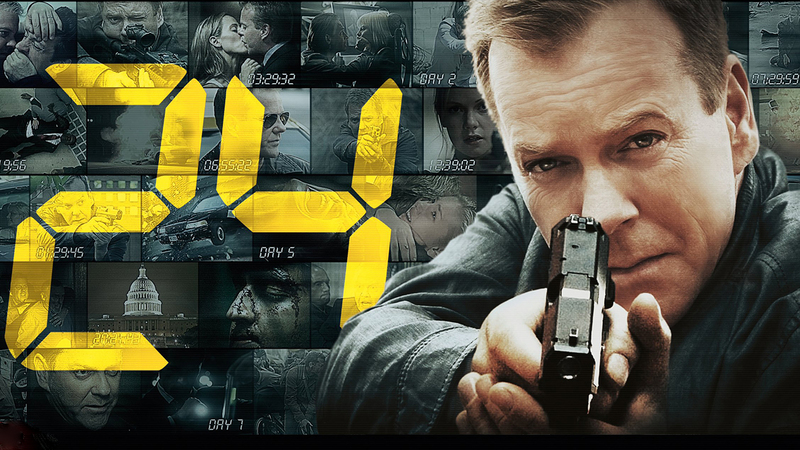 Fox has issued a formal pilot order for a reboot of the Kiefer Sutherland-starring ‘24‘, titled ‘24: Legacy‘. With a new title come new characters and Sutherland’s Jack Bauer will not be a part of the series. The series will focus on an all-new cast of characters while staying with the real-time format storytelling, with each episode representing one hour of the day. The plot will center on a military hero’s return to the U.S. and the events that follow him back, leading him to ask CTU for help in saving his life, and stopping what potentially could be on of the largest-scale terror attacks on U.S. soil. One boon for the new show is the participation of original ‘24‘ producers Howard Gordon, Manny Coto, Evan Katz and Imagine’s Brian Grazer that will help insure the feel of the drama stays in place. This entry was posted on Friday, January 15th, 2016 at 4:37 pm	and is filed under News, Television. You can follow any responses to this entry through the RSS 2.0 feed. You can skip to the end and leave a response. Pinging is currently not allowed. « ’10 Cloverfield Lane’ Trailer Mysteriously Pops Up!